How much easier would your job be if you had a few robot assistants to help you out? Handing off some of your support tasks to bots isn’t some futuristic pipeline. Today, AI is already augmenting human support agents and helping companies provide exceptional customer service. This saves human workers time, energy, and money – enabling your team to deliver better customer experiences on a consistent basis. In fact, bots are capable of automating more customer support activities than you might think. Let’s take a look at seven tasks that can be taken care of by bots and automated support technology. Human customer support agents can’t typically handle more than one customer request at a time. That’s why world-class support teams use computer-powered automation to augment human support agents. For example, intelligent chatbots can handle multiple incoming tickets at once, which allows your team can address more tickets in less time. This reduces customer wait times, minimizes ticket backlog, and ensures your customers receive answers as quickly as possible. Another reason to add chatbots to your customer service tech stack? Your customers don’t always want to interact with a human. That’s why self-service support options (like chatbots and knowledge bases) are becoming so popular. In fact, IBM reports that 72% of millennials feel a phone conversation is not the best way to resolve a support or service issue. They find calling inconvenient and would rather get answers via low-touch interactions – like instant messaging, live chat, or self-service options. On the other hand, your customers shouldn’t have to dig through online documentation or decipher technical language to find answers. They expect fast answers without putting in a ton of effort. AI comes in handy here, as well. 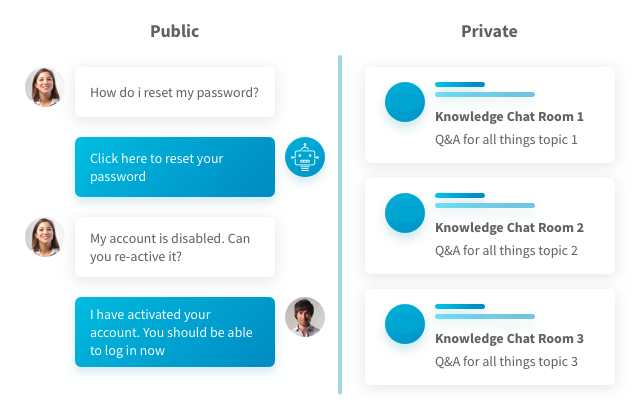 Bots can distill information from your knowledge base into concise, conversational answers via live chat. Then, if an issue develops into something beyond the chatbots capability, they can simply hand it off to a human agent. Once the major issues are resolved, the agent then has the option to send the conversation back to a bot to wrap things up. This gives your team the freedom and time to address more difficult issues and high-value interactions that can only be handled by people. Not only is AI capable of knowing when to escalate complex issues to human agents, but it can also determine who is the best person for the job. For instance, Relay’s intelligent routing system instantly reviews and directs tickets to the best available agent. Incoming calls and tickets are sent to the most appropriate agent based on the type of question asked, the level of expertise required, along with context from the current conversation and historical data points. By deploying chatbots on the frontlines of your customer support team, your team members can focus on their area of expertise and resolving the most complicated support issues. This is great for productivity, but it also guarantees that your customers speak directly to a specialist who can resolve their issue – which creates a much better customer experience than transferring them between various agents. With the support technology available today, there’s no reason to keep your customers waiting around when your agents are busy. Chatbots are ready to address customer inquiries as soon as they come in. AI-powered bots aren’t restricted to certain business hours, never need to take time off, and never get frustrated with customers. Basically, bots are consistent – they’re always on, always helpful, and can deliver 24/7 support across multiple channels. Considering that 22% of millennials expect to hear back within ten minutes if they message you on social media, the ability to respond quickly (even during busy times) is invaluable. Not only are chatbots an effective way to provide information to customers quickly and conveniently, they’re also a handy resource for your team members. Bots can access unlimited information in an instant – which means they can help your support agents work more efficiently than humanly possible. Without internal chatbot assistants, your agents might find themselves scrambling to dig up a specific detail for an agitated customer who’s been sitting on hold for five minutes. But with the power of chatbots and an internal knowledge base, your agents can simply request the information by messaging their AI assistant. How does it work? 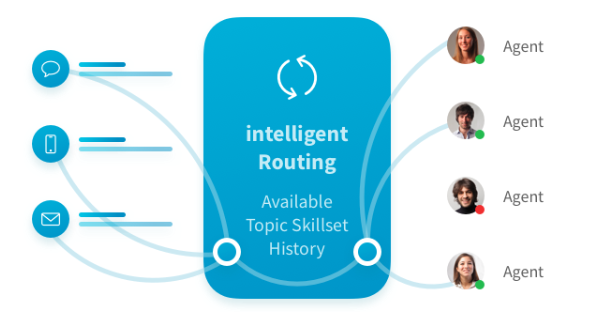 Intelligent bots can quickly scan your internal knowledge base to present an agent with the information they need to resolve a customer’s issue. This also cuts back on the cost of training new hires (because all the data your agents could ever need is just a message away) and maintains consistency in the type of information provided. More importantly, your customers get faster responses and resolutions – and your agents work more efficiently and effectively than ever. Your company receives a ton of support inquiries by email every single day. And sifting through those messages can be a time-consuming hassle – at least if you’re human. With the help of AI-powered bots, technology can automatically keep your incoming support emails organized. AI can be used to scan and tag emails to ensure they’re sent to the correct agent, support tier, or department. Basically, bots can intelligently detect who should receive which messages based on content. Smart technology also generates suggested replies to save your agents even more time. Based on your team’s past email conversations regarding similar topics, a bot can compose a potential response that a human agent can choose to edit or send as is. This allows for much faster responses and prevents agents from getting bogged down with the same routine emails over and over again. The most successful support takes place so seamlessly that your customers don’t even know they’re receiving it. This stealthy approach to customer support is known as proactive support – and it involves fixing customer issues before they’re even aware of the problem. 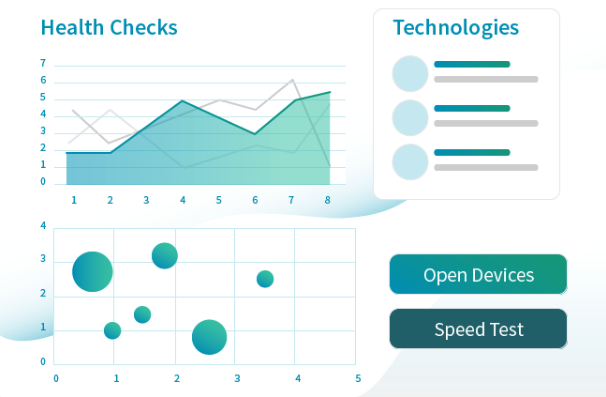 Your team can rely on smart technology monitoring to keep tabs on customer network health, diagnose potential problems, and automatically create support tickets so your team can begin working on a solution. This serves to decrease support volume, reduces your support costs, and frees up your team to handle more complicated issues that can’t be resolved proactively. The more you know about your customers, the better you can assist them and the more value you’ll both get from the relationship. However, data collection shouldn’t be an extra task on top of handling customer inquiries – it should happen automatically. With smart support technology, tickets get tagged automatically by category and topic based on the conversation. So, instead of spending time on data entry, your human agents can focus on higher-impact tasks. AI can also help human support agents make sense of customer data points. For instance, bots can combine data from previous interactions, support inquiries, and purchases to suggest personalized responses and solutions for certain customers. Furthermore, bots can make your life easier by using their access to infinite information to predict repetitive problems, recognize patterns in customer behaviors, minimize resolution time by suggesting solutions, and enabling agents to customize each customer experience. There are more opportunities than ever for technology to improve support operations. If you want to learn more about how humans and AI-powered technology can work together to create better customer experiences, then sign up below to receive monthly updates on the latest and greatest advice from our blog.